20 trained peer educators HIV actively supporting other vulnerable people living with HIV. 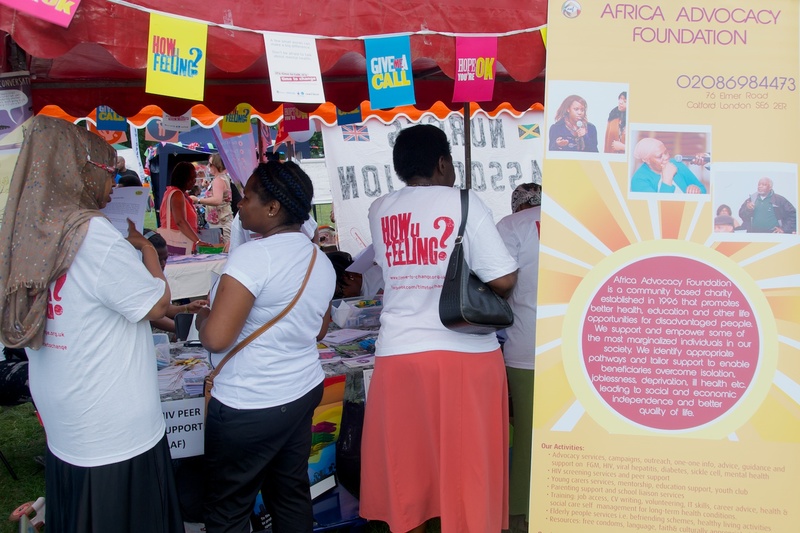 Africa Advocacy Foundation was established in 1996 to address increasing health inequality gaps within African communities in the UK and particularly to tackle increasing HIV/AIDS prevalence levels among Africans at a time of very low awareness levels, limited HIV treatment opportunities and widespread HIV stigma and discrimination. This is achieved through practical support, advocacy, campaigns, information, advice, guidance and training. 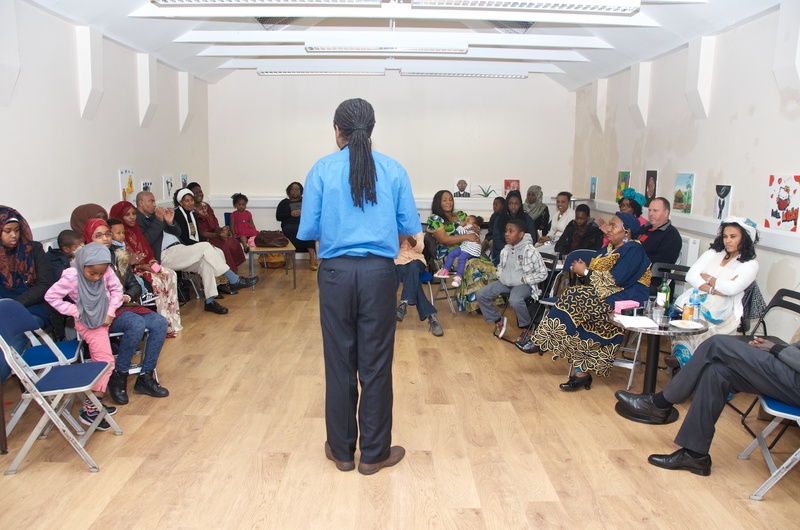 The HIV Peers Educators Project is a beneficiary led programme training 20 HIV positive Africans in South London as peer educators to support 50 newly diagnosed individuals in accessing services. It aims to empower and equip men and women living with HIV in South London with the skills and tools necessary to reach out and support other newly HIV diagnosed and vulnerable peers through mentorship, information, advice and guidance. The Project will deliver a structured peer educator-training programme focusing on the peer educator roles, qualities, basic HIV info, communication and basic counselling skills. It is expected that the training provided will equip the educators with competency to support and empower others to access appropriate information, treatment and care services and improve their health and wellbeing. The 20 trained advocates will assist the beneficiaries to understand and make better use of services in hospitals, GUM clinics, GPs, Maternity services etc. as well as involvement in networks and initiatives such as the local health boards, patient reference groups, HIV networks, meetings, conferences e.g. BHIVA, UKCab etc. The beneficiaries will also be supported to maximise the use of available HIV treatment services and patient resources available across the board. It is expected that the support provided by the peer educators through mentorship, information, advice and guidance will inspire confidence, reduce stigma, isolation and increase the physical and emotional wellbeing of all project beneficiaries. On-going one-to-one information, advice and information; counselling, mentorship sessions as well as advocacy and representation of other vulnerable beneficiaries needs e.g. accompanying them on hospital visits, appointments etc. Registering and involving the trained peer educators as patient representatives in meetings, campaigns, consultations, debates within diverse platforms, policy groups and networks to highlight needs and advocate on behalf of disadvantaged patients we work with. These will include local health and wellbeing boards; welfare reforms impact groups, HIV patient groups, networks and conferences such as UKCab, BHIVA, Local HealthWatches etc. The Project will create a competent team of 20 trained peer educators HIV actively supporting other vulnerable people living with HIV through learning, advocacy, information, advice and guidance. It will enable effective representation and participation of HIV positive African individuals in campaigns, consultations, debates, policy groups and networks specific to HIV and other related health conditions, and thereby establish a stronger, sustainable and more cost effective peer mentorship and support model with the potential for replication in other areas of service delivery.